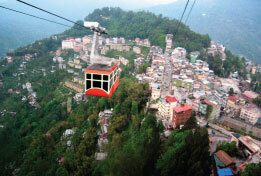 Travelpotato.com| Holidays in Darjeeling & Gangtok Best of Europe!! Curated especially for you!! Meet & Greet on arrival at NJP Railway Station transfer to Gangtok (5,500 ft.). On arrival Check-in to hotel & rest of the day at leisure. Overnight stay at Gangtok. 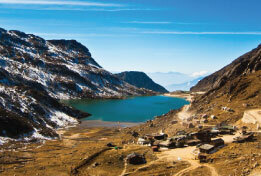 After breakfast head on for an excursion to Tsomgo Lake and Baba Mandirwhich is 55 kms one way from Gangtok city. Evening free for leisure. Overnight stay at hotel. Morning start for a half day trip of Gangtok city covering Visit Bonjhakri Falls. Afternoon drive to Darjeeling . On arrival check-in to your hotel. Overnight stay at Darjeeling. 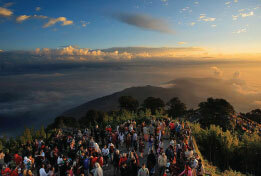 Early Morning visit the famous Tiger hill to watch the stunning sunrise over Mount. Khangchendzongha (28,208 ft. worlds third highest peak) and on your way back visit Ghoom Monastery, Batasia Loop. Day free for leisure & shopping. Overnight stay at Darjeeling. After breakfast Check-out from hotel and take the departure transfer to IXB Airport for your onward journey. Located in the Northeastern India at the foothills of Himalayas, Darjeeling and Gangtok are amongst the most popular tourist destinations in Northeast India. Darjeeling and Gangtok have some beautiful attractions that can be visited by the travellers from Delhi, Mumbai, Bangalore, Chennai and various other cities of India. 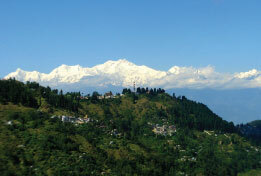 Our Holiday packages to Darjeeling and Gangtok are mostly availed by families and Honeymooners. These North East destinations have a pleasant weather and offer exciting experiences for each kind of a traveler. 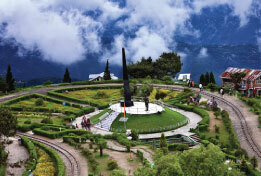 The peak season to visit Darjeeling and Gangtok is from March to June. The temperature during summers ranges from 15°C to 25°C. However, friends and backpackers plan a trip to North East during the off-season to get great cheap deals on st Sikkim, Gangtok & Darjeeling tour packages and to enjoy a range of adventure . 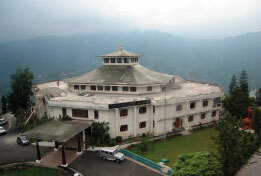 Sikkim does not have an airport or a railway station but is connected by a network of roads from West Bengal. While customizing Sikkim tour packages, travel agents arrange for a pick-up and drop service at either Bagdogra airport, situated at a distance of approximately 132 Km from Gangtok or at New Jalpaiguri Railway station, located at a distance of approximately 128 Km from Gangtok. A customized tour package to these beautiful destinations imparts travelers with memories to cherish. Excursion to Tsomgo Lake & Baba Mandir. Visit to Ghoom Monastery, Batasia Loop. Half day tour of Gangtok city.